It's finally happening — well, kind of. 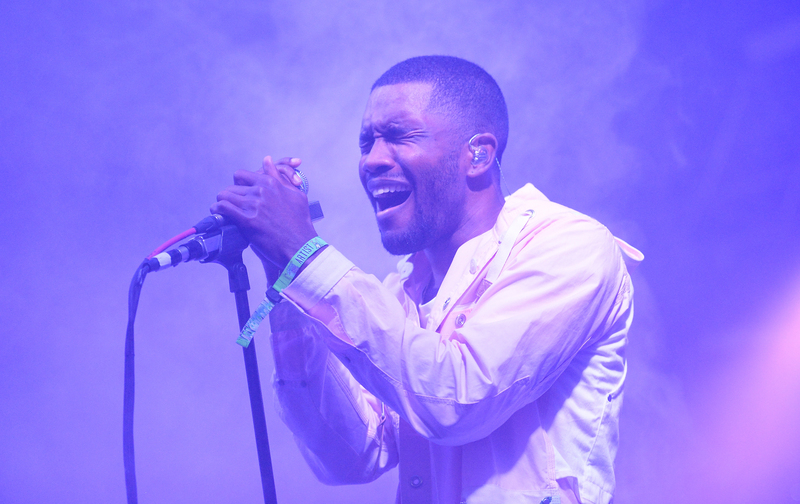 After patiently waiting for Frank Ocean to stream his second studio album Boys Don't Cry, fans tuned into the singer's live-stream for a different type of surprise on Thursday evening. The renowned artist unexpectedly released a visual album titled Endless. And though it may not be the album you expected, the project adds to Ocean's repertoire of tracks in a big way. The broadcast began around 10:20 p.m., Fuse reported, and the tracks are available for purchase on Apple Music. Boys Don't Cry — the album everyone has been waiting for — was originally supposed to be released via Ocean's live stream on Aug. 5, and though fans are still waiting on it, hope isn't lost just yet. The sophomore album is expected — for real, this time — to be released via Apple Music during the weekend of Aug. 19. However, Rolling Stone reported it had recently learned that Ocean changed the title of the album. Needless to say, this week is a big one for the artist and hearing his voice belt out those new tracks, it's not difficult to see why his fans are more than ready to forgive him for the tormenting wait. First of all we all massively appreciate and love you guys, Frank has told me this himself many times. To be fair tho, art cannot be rushed. It’s about making sure the perfect aesthetic for the situation has been reached, to do that, takes constant tweaking, trial and error.. That goes for any creative sitution [sic]. The 45-minute-long album has 18 tracks and features a handful of other notable artists from a variety of genres. They include Radiohead member and independent composer Jonny Greenwood, James Blake, Jazmine Sullivan, Arca, Sampha, and others. The visual aspect of Endless is relatively minimalistic, featuring black and white footage of Ocean in a warehouse. The footage is reminiscent of ultra-realist film that depicts its subjects in everyday, episodic life. Nothing necessarily special happens, but maybe that's the point. Boys Don't Cry, for example, has been preceded by a whole bunch of nothing that carried on past Aug. 5, when the album was initially supposed to drop. And now that the suspense has been built and broken by Endless, we're realizing that Ocean himself doesn't even transcend the mundaneness of the every day. Instead, he transforms it into art in a beautiful way.